The drones are coming! The drones are coming! 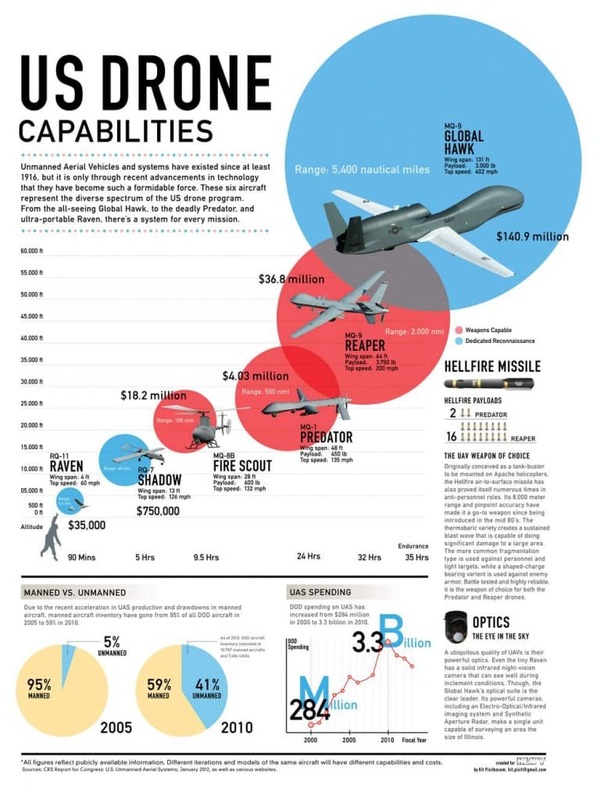 America’s legally questionable use of Unmanned Aerial Vehicles (sometimes more accurately termed Unmanned Aerial Sensors) abroad has many people worried about the scale and type of future domestic applications. Anew bill has been introduced that adresses those fears. If signed into law, it woud severely regulate the purchase and use of drones by law enforcement and other agencies like the FBI.